0.85ct round brilliant cut diamond engagement ring set in 18kt white gold. 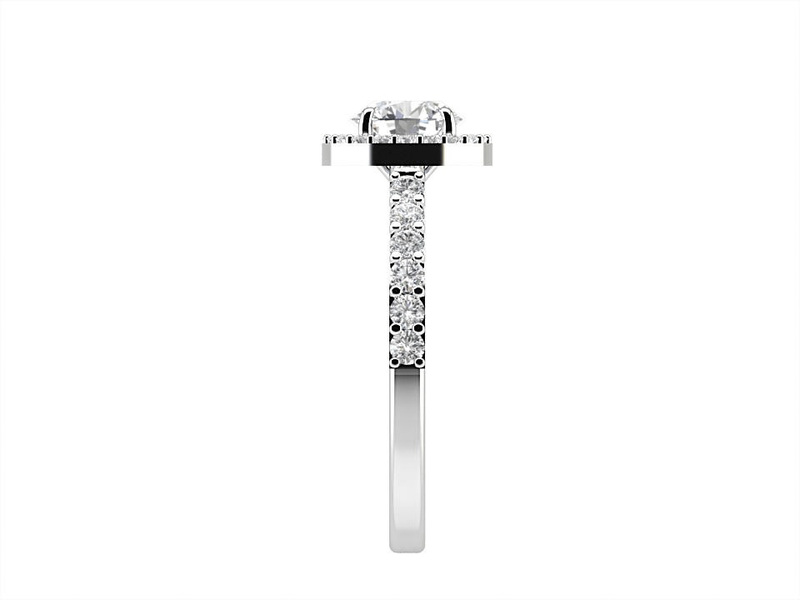 This ring is set with a 0.50ct round brilliant cut diamond in the centre in a bezel style setting. 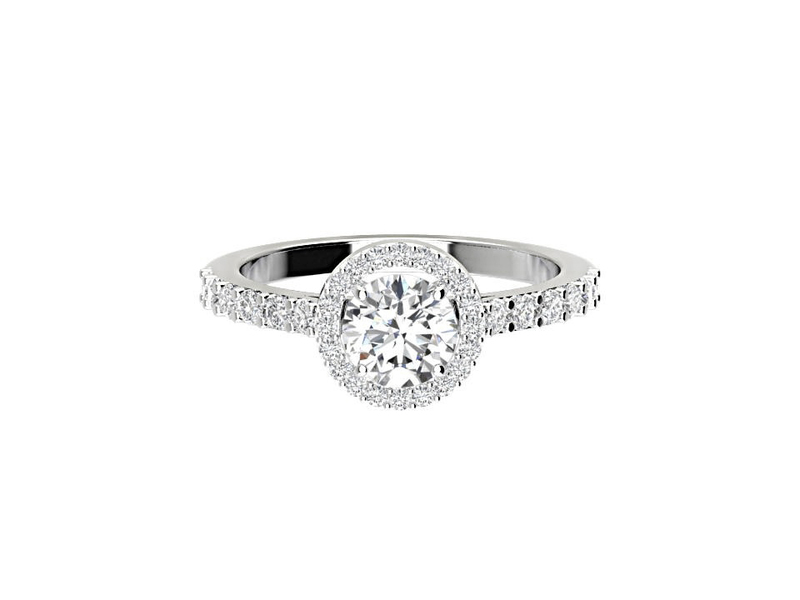 The centre diamond is complimented by a halo of round brilliant cut diamond with additional diamonds on the band in a claw setting style setting. This ring is accompanied by a GIA certificate, the centre diamond is D colour and Si clarity.